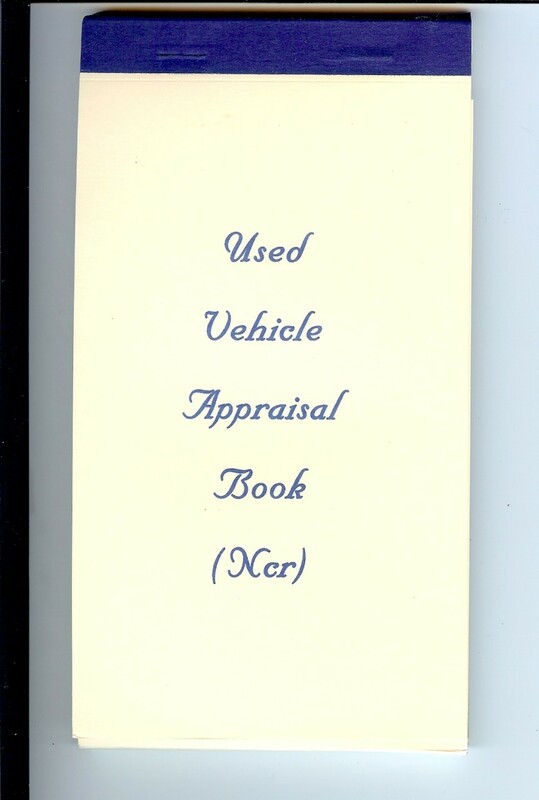 Record your appraisals and avoid confusion on your vehicle appraisals. Carbonless paper with a wrap around cover to protect write through. 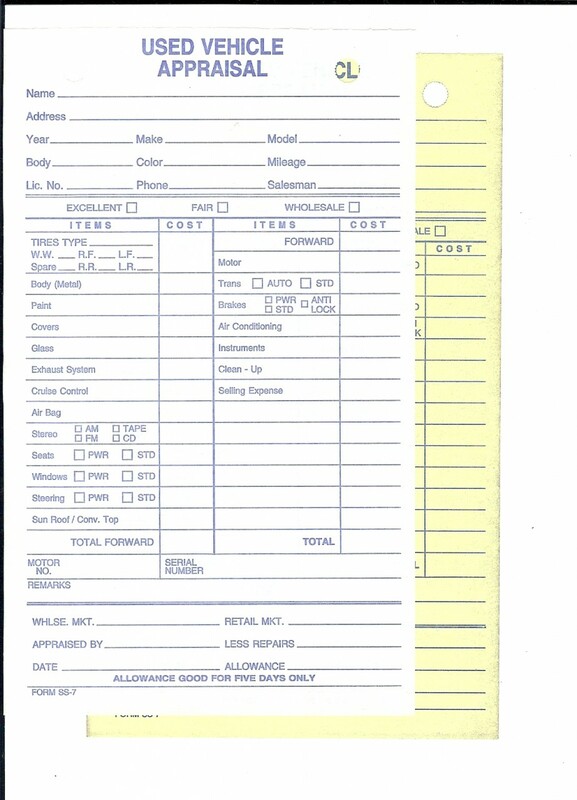 3 part NCR form with White, Yellow and Pink copies. Book size: 4 1/2" x 7 1/2"